Andrew Jackson was volatile and prone to violence, and well into his forties his sole claim on the public's affections derived from his victory in a thirty-minute battle at New Orleans in early 1815. Yet those in his immediate circle believed he was a great man who should be president of the United States. Jackson's election in 1828 is usually viewed as a result of the expansion of democracy. Historians David and Jeanne Heidler argue that he actually owed his victory to his closest supporters, who wrote hagiographies of him, founded newspapers to savage his enemies, and built a political network that was always on message. 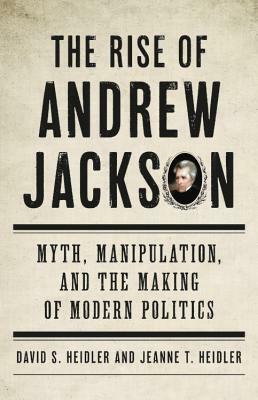 In transforming a difficult man into a paragon of republican virtue, the Jacksonites exploded the old order and created a mode of electioneering that has been mimicked ever since. David S. Heidler is an author and retired professor. Jeanne T. Heidler is professor emerita of history at the United States Air Force Academy. They have collaborated on numerous books, including the critically acclaimed Henry Clay: The Essential American and the award-winning Washington's Circle: The Creation of the President. They live in Colorado Springs, Colorado.